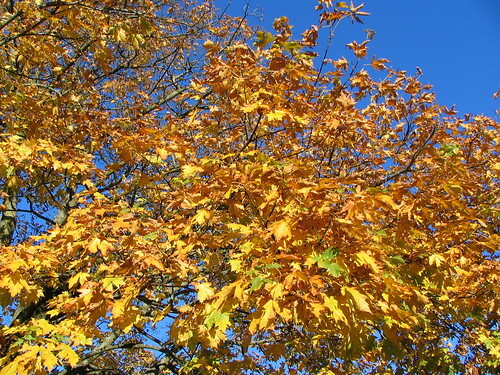 The blue sky was stunning, and the leaves in Triangle Park contrasted beautifully. 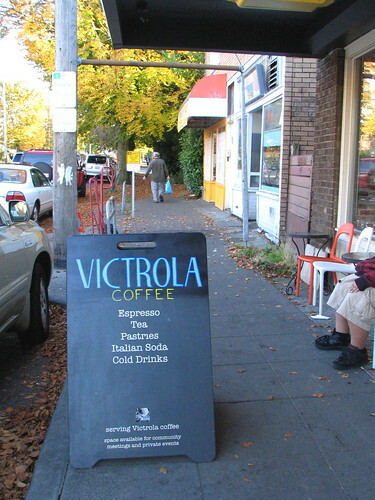 I walked down to Victrola, where, since last week, they have repainted their sign with their new name. 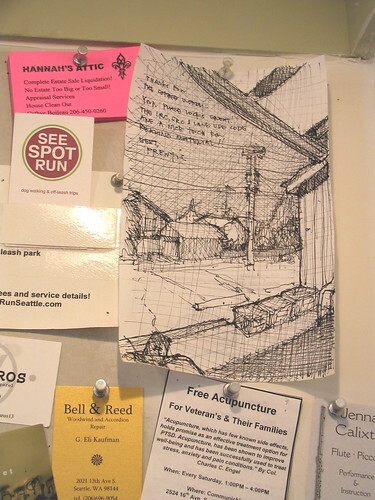 I enjoyed this drawing on the Victrola bulletin board. 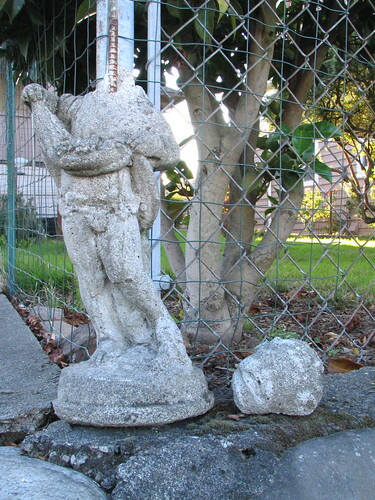 I saw this headless statue near El Centro. 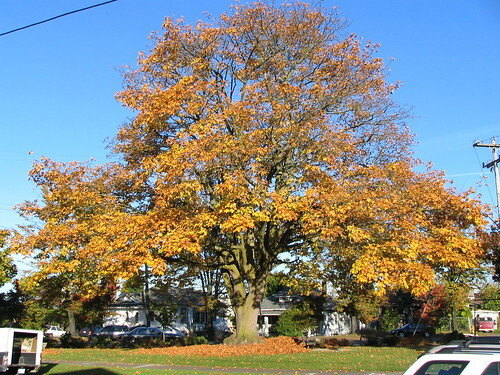 Then it was back by the big maple at the triangle park, on my way to Red Apple, then to home!